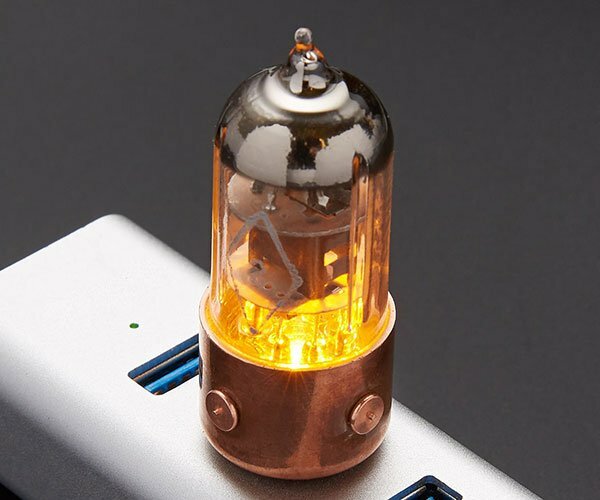 If there’s one thing that’s for sure, it’s that you can find some really odd stuff if you dig around deep enough over on Etsy. For instance, while I was searching for some zombie-related items, I came across this monstrosity. 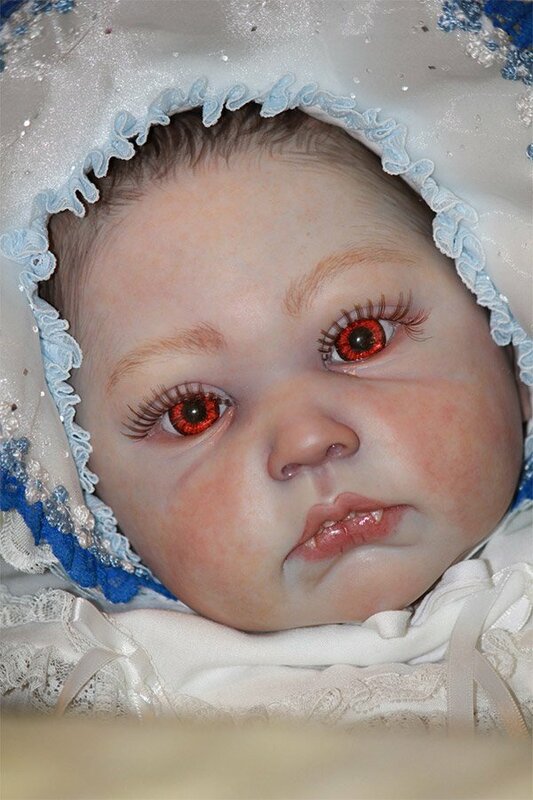 These creeptastic, realistic baby dolls are made by Washington state artist Bean Shanine of The Twisted Beanstalk Nursery, and they’re sure to give you some freaky dreams if you so much as look into their dead eyes. 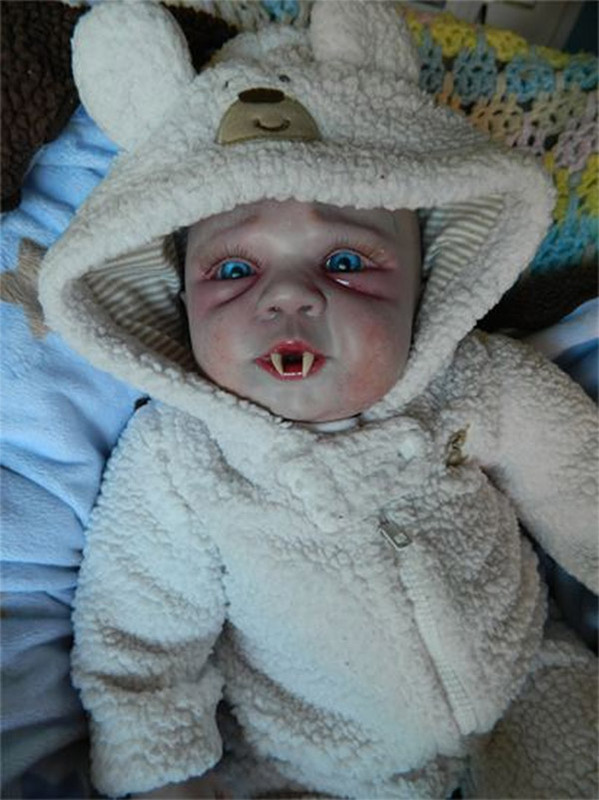 In addition to the “reborn” zombie baby above, you can also find in her shop a Twilight vampire baby, complete with fangs and red eyes. 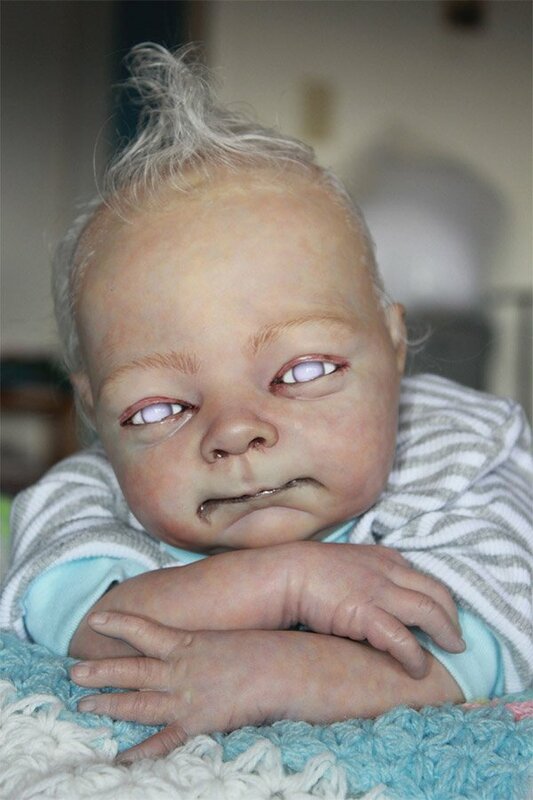 If you’re into this kind of freaky stuff, then you can “adopt” one of these babies over on Etsy for about $650(USD). Oh, and be sure to buy some formula to feed it with. Be sure to check out more of Bean’s creepy babies over on her website.